When you're leading a SaaS company, reducing churn means juggling a lot of pins. To make sure your customers stick around, you need to think about product-market fit, feature improvement, customer experience, and pricing strategy—just to name a few. But what if your user doesn't want to churn—and does anyway? When customers' credit cards fail and you don't have a system in place to catch the problem, you'll unnecessarily lose customers who were still getting value from your product. This delinquent churn from customers that aren't really trying to leave can drain valuable customers from your user base. That's an added churn battle you shouldn't have to fight. And you won't—if you put the proper systems in place to stop delinquent churn. Benefit for your customer: By recovering customer's payment information and enabling them to continue their subscription, you allow them to continue receiving the value your product offers. Benefit for your company: Delivering value to customers that are willing to pay for it is the bedrock of your business. By preventing an unnecessary churn, you retain that strong base of customers who are willing to contribute revenue in exchange for your product's value. As a byproduct of retaining customers and continuing to deliver value, you'll save yourself from huge and unnecessary revenue losses. 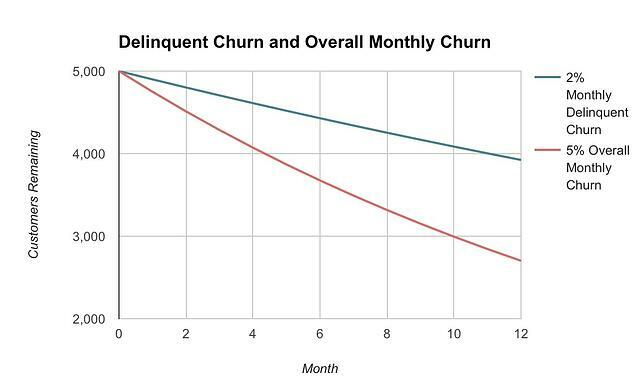 At Price Intelligently, we've collected the largest churn data set and determined that 20-40% of SaaS companies' user churn is delinquent churn—some companies even reporting that delinquent churn makes up half of their overall churn. That means that a significant portion of the revenue you lose through churn every month is unnecessarily lost from customers who want to keep using your product. Modeling this makes the consequences much more tangibly alarming. If you begin a year with 5,000 customers and see 5% of your customer base churn each month from both active cancellations and delinquencies, you'll lose 2298 customers by the end of the year. If your delinquent churn rate is 2%, you're losing an alarming 1,076 customers who weren't really trying to churn. If on average customers pay $50/month, losing 1,076 customers amounts to $645,600 needlessly lost over the year. Earning this revenue back by eliminating delinquent churn would mean you would see an additional 40% of the total revenue you'd make in the year in your bottom line, even before additional revenue contributions from acquisitions and expansions. This issue of delinquent churn affects any SaaS company that relies on functioning credit card transactions to get the revenue they need to sustain their company. Ignoring the problem is the equivalent of setting fire to the company's cash. There's huge incentive to do anything you can to make sure credit card failures don't choke your growth. Reducing delinquent churn is better for your customers, better for your company, and better for your bottom line revenue. With high stakes, you need a foolproof strategy to make it happen. Many companies use dunning emails as a bulwark against delinquent churn—they send emails to customers reminding them to update their payment information so that the credit card that failed is replaced with a credit card that works. This can be effective in reducing churn: emails can recover between 25-30% of delinquent churn over the course of 3 months. But how much you reduce delinquent churn depends on the quality of your dunning emails, and you may be making some critical mistakes that are sabotaging your recovery. 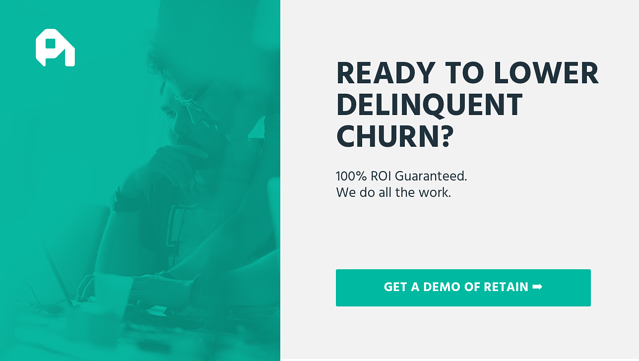 The best strategy for reducing delinquent churn involves targeting the entire delinquency lifecycle. You need to send emails before and after a customer's credit card fails to make sure you're both preventing and treating. 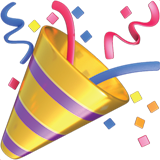 Pre-dunning emails are the first important step in your delinquent churn reduction process. If a customer updates their card information before the card expires, you don't have to worry about missing any payments from them. Use discretion when sending post-dunning emails. You should keep retrying customers' cards even after they fail because about 20% of those cards will go through within the first 5 days after failure without any intervention from the customer. Be sure to take those customers out of your delinquent churn retention funnel so they don't keep getting emails after their card goes through. You'd never want them to be getting emails about billing when they could be getting emails about new features or exciting updates. There's a lot of psychology around opening emails and clicking through—so unsurprisingly, there's a lot of data out there as people have tried to figure out the most effective time to email your customers. Timing your dunning emails correctly involves sending emails at the right cadence and sending them at the right time of the day/week when customers are most likely to take action on an email. Cadence: If you start emailing your customers a month before their card expires, you can email them on the 1st of the month, the 15th of the month, and a few days before their card actually is set to fail. After a card has failed, you should reach out at least 4 times before canceling the account. Waiting as close to a month as possible before canceling the account will give your customer the largest window of opportunity to update and continue their subscription. Time of day/week: Data suggests that people are most likely to take action on emails at the end of the day (specifically between 8 pm and 12 am) and towards the end of the week (the highest click-through rates occur over the weekend). Sending emails at these times may be especially effective if you're trying to get customers to take action on your email and update their information. However, the best cadence for your emails and the most effective time to send them depends on the behavior that you observe from your own customers. Running A/B tests and understanding your customers' habits is the only way to get the most accurate information for your specific customer base. Remember that everything your customer does to interact with your product and company is a part of their customer experience and contributes to the value they perceive. Your customer's role in reducing delinquent churn should be a positive experience that excites them about continuing to receive your product's value. You should make card updates as easy as possible for your customer, and provide the right incentive so that they are reminded of how much they want to continue their subscription. Make it as easy as possible: Emails should have custom links that take customers right to the page where they can update information. If possible, they shouldn't have to sign in again. Reduce the number of steps for your customer as much as possible to reduce the potential friction and frustration around credit card failure. 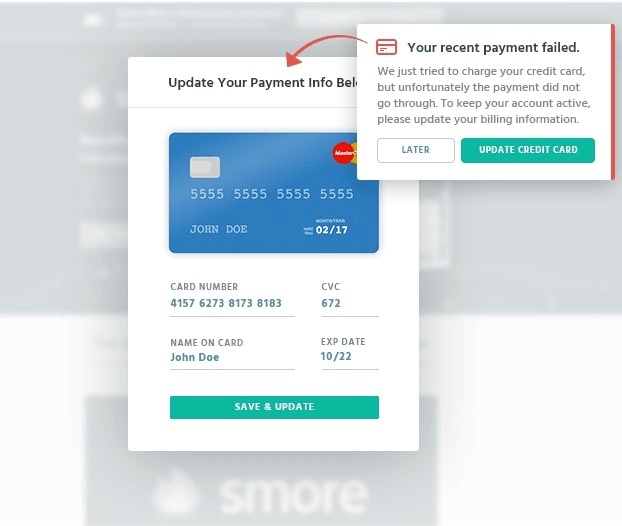 Provide the right incentive: Any message about updating payment information and continuing a subscription needs to remind the customer of the value they'll lose if they fail to update their payment information. This can mean reminding them of the reports they're tracking or the projects that they'll lose access to. Updating a failed credit card is an extra step for the customer, but taking this opportunity to point out value ensures they'll want to take this step. Aim for the friendliest UX possible. If at any point your customer has to search for the right place to enter information, troubleshoot a confusing instruction, or question why they're updating their information in the first place, you'll fail to provide for that customer and you'll suffer the loss of their lifetime value. The truth about dunning emails is that they leave a lot of room for error. There are many moving parts to your customers' subscriptions that you'll have to track on your own, and collecting enough data to completely optimize your process could take months or years. A comprehensive system makes it easier to communicate with the customer throughout the delinquent churn lifecycle. Using a tool means you don't only have to rely on pre-dunning and post-dunning emails. 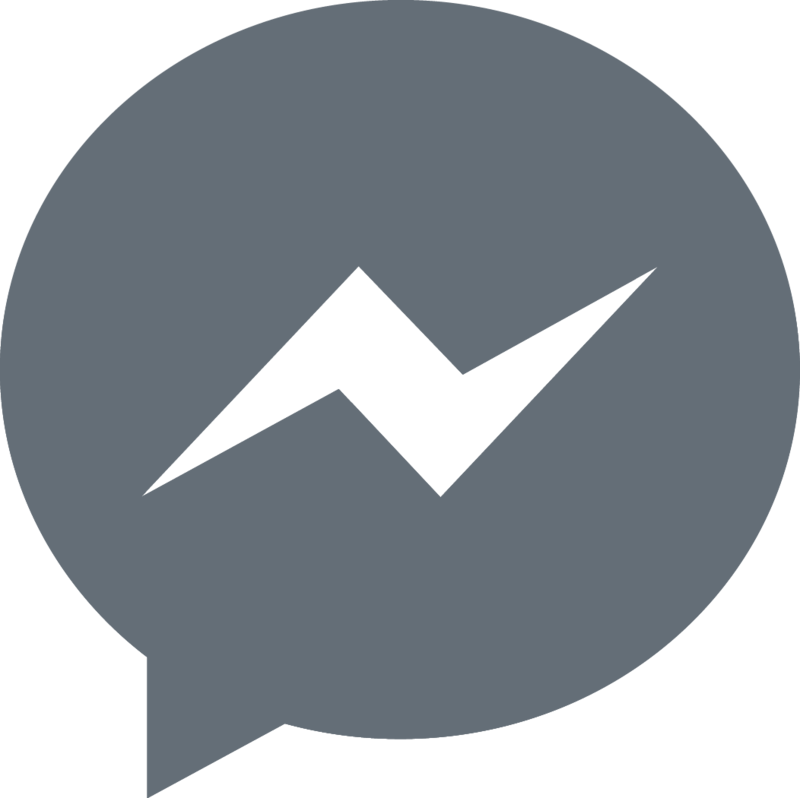 For example, ProfitWell's Retain tool uses in-app messages in addition to pre-dunning and post-dunning emails so that communication with the customer is seamless. The tool also provides options for upgrades to annual plans, which helps combat delinquent churn because it reduces the times a customer has to re-subscribe. A tool can pull data from all of its users to optimize the best timing for dunning messages. You don't have to worry about figuring out if it's the right day of the week or the right number of days after a customer's credit card has canceled in order to contact the customer. The benefit of using a tool is that the tool can optimize timing, message copy, etc. from a much larger pool of data. 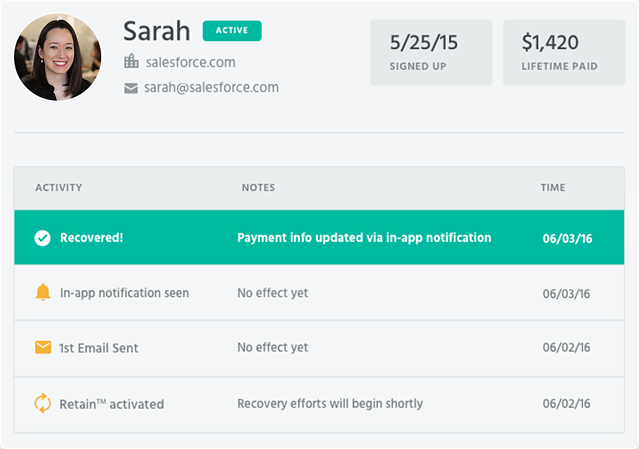 Using a tool to contact customers in-app enables the easiest flow for a customer to update payment information. Customers who are already using your product don't have to navigate out of their workflow or log in again, which reduces friction and ensures that the experience is already tailored to them specifically. Additionally, contacting customers mid-use ensures they have the product's value right in front of them, which can motivate them to make sure they hold on to it. You could continue to focus on optimizing your dunning emails, but eventually, you'll hit a wall. Using a comprehensive system is 3-4x more effective in reducing delinquent churn than dunning emails alone, and companies who use the comprehensive system see a stunning 2,000-5,000% ROI. That means more reward for your company, and more value delivered to your customers.